Home » Bollywood » Special Articles » Politics of Ignited Minds! The ignited mind of the youth is the most powerful resource on the earth, above the earth and under the earth (not literally of course! )”, said Former President of India A.P.J. Abdul Kalam in his book ‘Turning Points’. He used this quote ‘Ignited Mind’ earlier as his book’s name in 2002. He may have or have had a strong point of view for the Indian youth about their ignited minds; sadly enough, 70 percent youth don’t agree with the Former President. They don’t consider themselves ignited minds. Because they don’t show their interest in Government policies, they don’t care what the so-called old men of politics are pursuing in the parliament. All they know is to update their facebook accounts, yes! Facebook, Indian youth is not yet habitual to twitter. It may seem that I am trying to bring out my frustration in an inimical manner as if I have faced adversaries, and haven’t really been in the good books of anyone anywhere, which probably has made me cynical! Well, the truth is that it’s exactly what I’m trying to do here, though I wouldn’t really agree with the cynical part! Dear India’s so called youth can you please come out of your soft and comfy beds and have a look at what’s happening to our nation? What’s happening in the world’s largest democracy? 16th Lok Sabha elections are a few months away now. This time in 2014, more then 110 million people will be eligible to cast their vote to select the government at the centre. Remember a government by the people, for the people, of the people! A larger part of the total number (110 million) is aged between 18 to 30 years. ‘Youth’ will be on the top of the list in every political party’s memorandum. Leading political parties will be focusing on attracting youth for votes. If political parties aim to focus on the youth, then it will be interesting to explore the latter’s credibility, brilliance, and understanding of politics. One significant question is still popping up in minds of opinion leaders, why don’t youth get involved in Politics? Perhaps many would believe that that era when people used to worship their leaders, is far bygone; and that politics is a dirty game. It is perhaps the good luck of Obama that he is the President of The United States of America and he is a role model for the American youth. No Indian politician will get the pleasure to become a role model for the youth due to their corrupt images rolling in the layman’s mind all the time. But aren’t we really forgetting the promulgation of Emergency in India under the leadership of Indira Gandhi, and the plight of our society during emergency! It is important to note that the rope of next big political game is in young hands. It is upon us to decide whether next five years are going to be a developmental period or will mar the face of Indian politics like time immemorial. Pawan Kumar Bansal, Member of Parliament from Chandigarh, former Railway Minister is one of the top notch leaders in UPA II. He holds a youthful image, because of his orientation for youth and his interest in youth, irrespective of his age. I can’t say if he had been a role model of sorts for the youth but he was affable until now when he was forced to resign due to allegations of taking kickbacks through his nephew. Youngsters at least in Chandigarh used to have a dream to join parliament with clean image like Pawan Kumar Bansal. But when controversy of kickbacks started spreading on T.V, one of the leading national News channels aired a video in which Pawan Bansal was found doing Tone-totke (folk remedies, Black magic) on a goat to get rid of this polemic. Well, apparently the youth had had it! 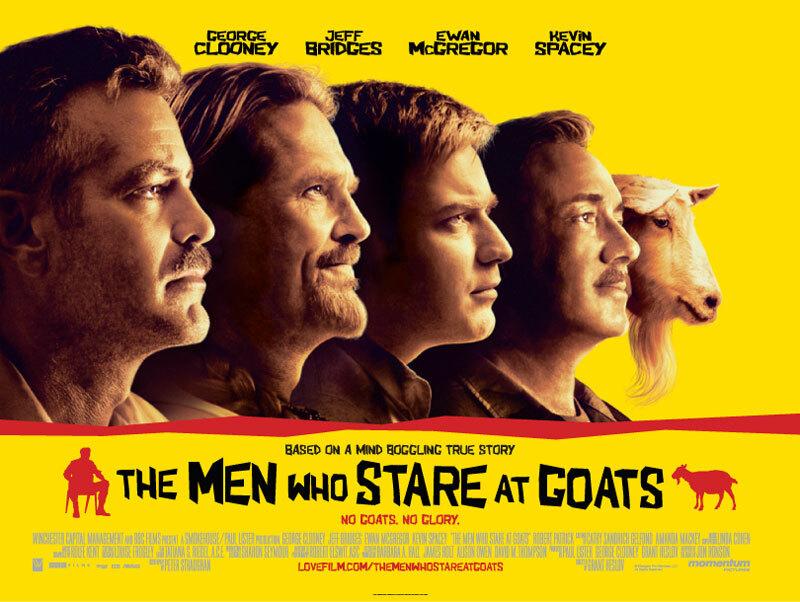 Meanwhile a popular film’s poster was doing the rounds on social networking sites and was titled- ‘The Men who stare at Goats’. Many authors tried to define the credibility of the Indian youth through their books; one of them was Chetan Bhagat. Bhagat even wrote a full book dedicated to Indian youth and named it ‘What young India wants?’ Albeit, it read more like what he wanted from young Indians instead. Unfortunately, this has given rise to a new dictum- Americans known how to live their American dream, but Indian youngsters are also living an American dream instead of having their Indian dream. All they want is a white collar job, a fat pay cheque, and all the other goodies that accompany it. It is high time for youngsters to prove their credibility, brilliance, and understanding of politics, alongside proving if they actually are ignited!